Paris, March 18th 2016 – Invectys announces today success with its therapeutic vaccine INVAC-1 that shows excellent innocuity and high tolerance in patients. During the third stage of the ongoing phase I clinical trial, INVAC-1 was administered at the highest dose level planned in the trial without the slightest problem of toxicity or tolerance, so showing a superb safety profile. These promising results follow the very recent announcement of an additional 7 million euros capital raise from Invectys’ historic investors. It brings to 17 million euros the sum raised by the company from this group of family offices, business angels and private investors who have accompanied Invectys since its creation in 2010. Invectys also announces having received financing of 850,000 euros from Bpifrance. This will finance completion of the phase I clinical trial. INVAC-1 is an innovative therapeutic vaccine specifically targeting the enzyme telomerase that is over expressed in the large majority of cancerous cells and which plays an essential role in their uncontrolled proliferation. Founded in 2010 and based in Paris, Invectys is a biopharmaceutical company specializing in the development of innovative immunotherapies for cancer treatment. Invectys exploits a novel approach to mobilizing and restoring the anti-tumor capacity of the immune system of cancer patients. This allows targeting practically all cancers. 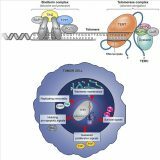 Invectys converged on the universal tumor antigen telomerase that is critical to uncontrolled cell growth. Thanks to an exclusive worldwide license agreement, Invectys has access to a strong patent portfolio of the Institut Pasteur. Since its creation the company has reinforced and developed its own patent portfolio that covers all its technologies and products. To learn more about Invectys: www.invectys.com or contact us.